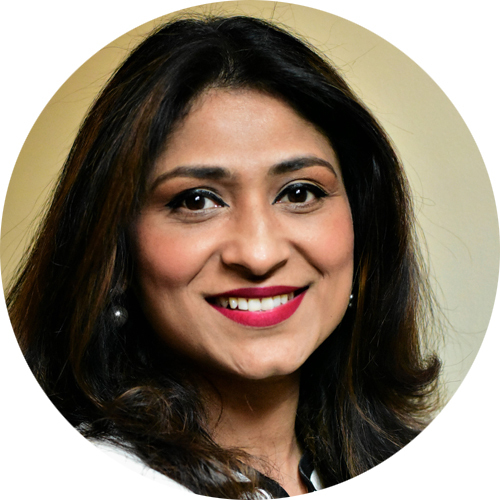 Dr. Sara earned her Bachelor of Dental Surgery degree from India in 1995 and her Doctor of Dental Surgery from the University of Michigan. Dr. Sara is a member of the Royal College of Dental Surgeons of Ontario (RCDSO). Coming from a family of dentists, she was drawn to the field quite early on and continues to serve with the same passion years later. Known for her pleasing personality, charming smile and fine sense of humor, Dr. Sara makes patient comfort and well-being a priority and genuinely loves to see her patients smile. Besides dentistry, she enjoys singing, listening to music, spending time with her family and playing with her gentle giant “Bear”- the Newfie! out the form and we will contact you during our working hours. If you have a dental emergency, please call 905-878-8760. Urgent care is provided usually the same day.